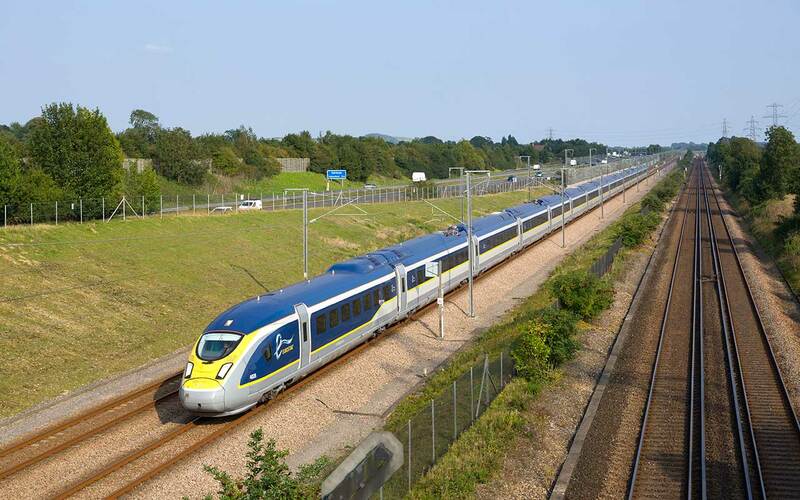 Eurostar is the high-speed international rail service created to use the Channel Tunnel between France and England. With the Eurostar you can travel between France and England in under 30 minutes (assuming that you travel between Ashford and Calais). The journey time between London (St Pancras) and Paris (Gare du Nord) is 2 hours and 16 minutes. London–Lille is just 1 hour 22 minutes. It is also possible to take the Eurostar from London to Brussels and Marne-la-Vallée (for Disneyland Paris) and some services continue to Lyon, Avignon, Marseille, Moûtiers and Bourg-Saint-Maurice. Rail passes, like the Eurail and InterRail pass, are not valid on Eurostar. Generally it is best to book online in advance to get the cheapest fare. For most people, standard class is perfectly adequate, Business Premier (first class) does have several advantages that aren’t available with most other high-speed trains. Business Premier benefits include flexible tickets, a dedicated passport control lane, special Business Premier lounges at major stations plus meals (designed by Michelin-starred chef Raymond Blanc OBE) served at your seat.